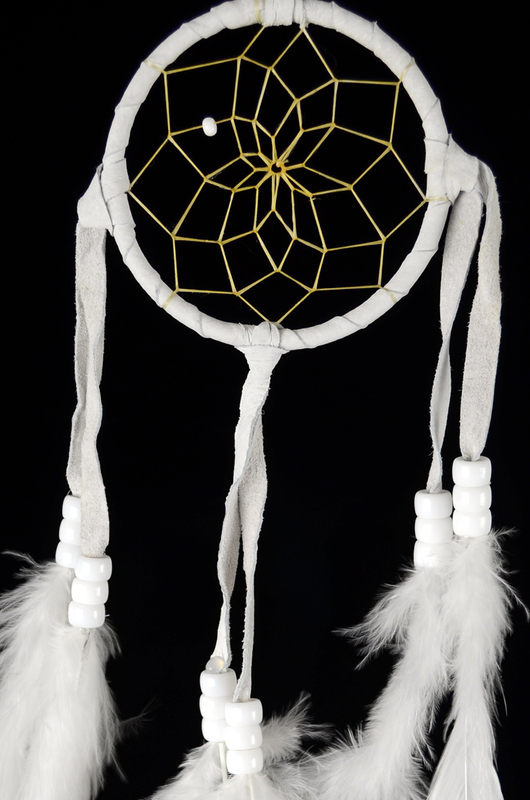 This beautiful dream catcher is made for us by Navajo artist Mae Stone. This dreamcatcher comes with a certificate of authenticity as well as a dream catcher legend card. The leather dangles that adorn the dreamcatcher have feathers held in place by beautiful glass beads. 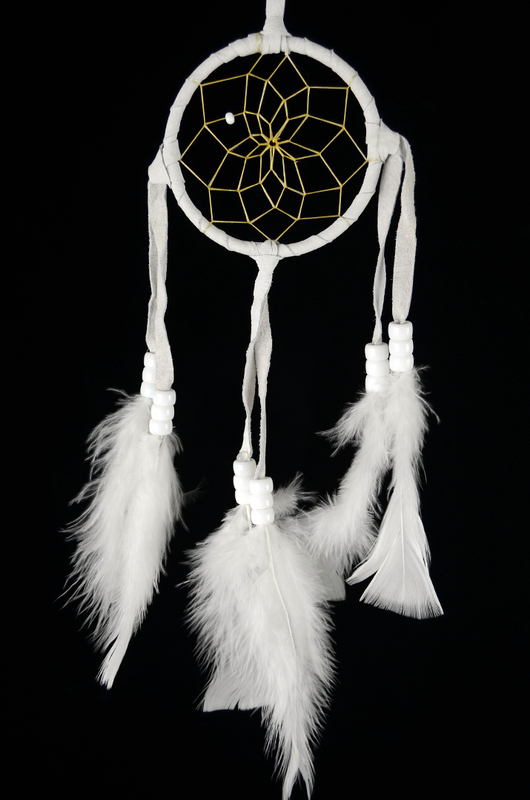 Each dream catcher may vary slightly in feather size and bead decoration.